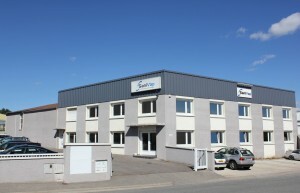 SANIVAP is an innovating French company located nearby Lyon. The creator of steam biocleaning, SANIVAP, with more than 15 years’ experience, is today’s leader and incontestable European reference for steam biocleaning, now used in many different sectors. The cleaning and disinfecting method developed by SANIVAP completely satisfies the demands of professionals in charge of cleanliness and hygiene. SANIVAP has scientific numerous validations demonstrating excellent efficacy in terms of cleaning and disinfecting surfaces. SANIVAP has EC Medical certifications and ISO 13485 and 9001 as well as numerous client references. SANIVAP offers a range of products, adapted to each different sector, alongside a wide range of accessories. SANIVAP also offers a variety of services dedicated to the successful set-up of its steam biocleaning method. The SANIVAP commercial team is composed of specialists of steam biocleaning. As such, they know the needs and restrictions of each specific area with which they work. They are therefore qualified to give relevant demonstrations and to successfully install steam biocleaning systems. Contact us for a demonstration. They rely on protocols and detailed method sheets established by SANIVAP. They ensure regular observations after installation. The SANIVAP training team ensures steam biocleaning training. The trainers are professionals who hold degrees in hygiene and know perfectly the SANIVAP steam biocleaning method.